People love Lin-Manuel Miranda’s Broadway musical Hamilton, to the extent that it’s rapidly approaching 2010-2012 levels of Community fandom. That means eventually, the cool kids will be singing all of the big numbers from Hamilton II, and everyone else will be banging rocks together while grunting. However, the problem with Hamilton is that its status as a Broadway musical limits its cultural impact. Sure, you can listen to the cast recording and watch YouTube videos at home, but in order to get the proper experience you actually have to go to New York City. That will be changing, though, as Deadline is reporting that Hamilton will soon be taking a trip west to the windy shores of Chicago, home of hot dogs and broad shoulders. 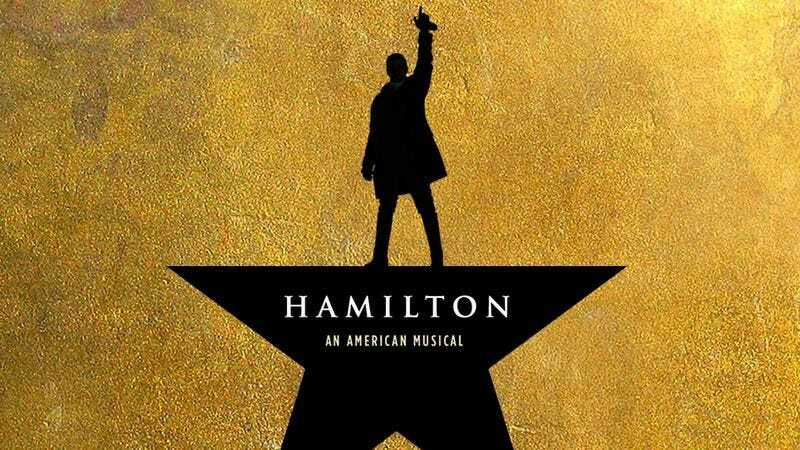 Hamilton will open at Chicago’s PrivateBank Theatre on September 27, 2016, and its run is expected to be “open-ended.” In other words, it’ll be around for as long as people want it to be, which probably means forever.